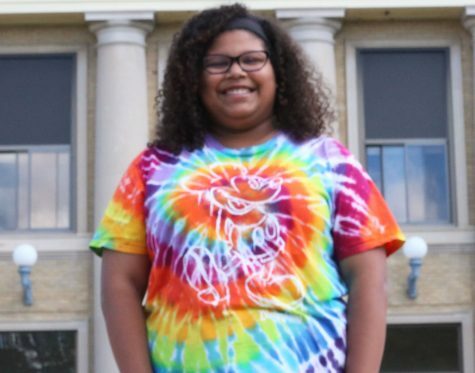 Charity Jackson is a junior at OHS who does whatever it takes to succeed. She is involved in many music ensembles with her clarinet and bass clarinet including Concert Band, Symphony Orchestra, Pep Band and Marching Band, holding the clarinet section leader position. She can be found dominating the courtroom as an attorney for the Mock Trial team. She is also in Knowledge Bowl, Link Crew and SHOC (Students Helping Others Choose), as an officer. Jackson’s leadership skills scored her membership in National Honor Society, where she enjoys volunteering for her community. After quitting traditional sports following middle school she decided her talents were best suited for managing sports teams. She is behind the scenes for the girls swimming and diving team in the fall and the girls track and field team in the spring. Outside of school she is in Girl Scouts where she gets to experience and learn an array of new things. She made the decision to join Magnet because she enjoys writing, wants to study English in the future, and had a wonderful time in her sophomore journalism class.